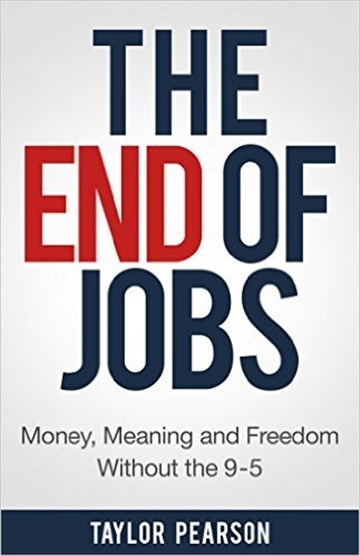 Based on hundreds of interactions and and dozens of recent books and studies, he wrote The End of Jobs to show others how they could invest in entrepreneurship to create more freedom, meaning, and wealth in their lives. Taylor is giving away the book for 99 cents on Amazon from May 23 - May 30. "Globalization, the acceleration of technology, entrepreneurship, digital disruption and thriving in extremistan. This should be mandatory reading for parents & teens considering their next step. Excellent book"
"I loved this book. For anyone who cares about the future of work, keeping their jobs, or doing what ultimately matters, this is a must read."